When you’re a rider like Vincenzo Nibali, what do you do to keep it interesting? The answer: the double. The Italian superstar has put cycling’s most elusive milestone at front and center of his 2019 plans. 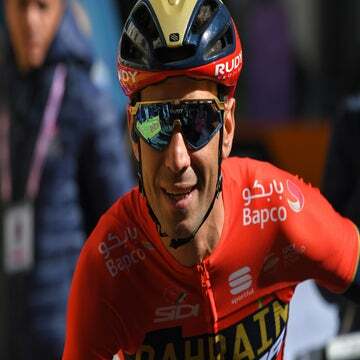 The Bahrain-Merida captain wants to do what no one’s pulled off since 1998, putting his sights on winning the Giro d’Italia and Tour de France. At 34, the “Shark of Messina” wants to set the bar even higher with the challenge of cycling’s ultimate test. Why now? Just call it Nibali’s ultimate challenge. Nibali’s palmares are impressive, and by contemporary standards he is at the top of the peloton. Along with Chris Froome (Sky), he is the only active rider who’s won all three grand tours. Add two monuments — Giro di Lombardia and Milano-Sanremo — four grand tours and more than 50 pro wins, and there’s not much Nibali hasn’t won that he’s targeted. The world title and Liège-Bastogne-Liège remain on his to-do list, but the double took on a special allure when the team was planning out this season. Conventional wisdom is that the Giro-Tour double is too hard. Marco Pantani was the last to achieve the double during the go-go 1990s. Since then there have been a few noble attempts, but everyone’s fallen short. Most believe there’s not enough time for recovery between the demands of the two grand tours. In fact, both Tom Dumoulin and Froome said the reason each targeted the double in 2018 was because there was an extra week of recovery between the two races due to soccer’s World Cup. Copeland said Nibali’s longtime trainer Paolo Slongo is contrarian and thinks the shorter gap between the Giro and Tour is a plus, not a negative. With both races stacked up, Slongo reasons, it’s easier for a rider to hold onto his form longer. With an eye on the double, Nibali will debut his season a little bit later than normal — at February’s UAE Tour — and try to hit form as late as possible at the Giro. He’ll need to hold that form through July. Nibali confirmed his double attempt in December with the arrival of new team partner the McLaren Group. Double attempts are nothing new, and most of today’s top grand tour riders are racing two grand tours in one season. Many opt to race the Giro and Vuelta a España or the Tour and the Vuelta. The Giro-Tour combo is considered the most difficult due to the Giro’s extreme physical demands and Italy’s often uneven spring weather conditions ahead of the season peak at the Tour. Last year, Froome and Dumoulin came as close as anyone in two decades of hitting the double. Froome won the Giro and finished third at the Tour, while Dumoulin was second in both. More than being encouraged by those results, Nibali is more drawn to the historical epic of trying to win both. It’s more akin to Alberto Contador’s 2015 attempt, when the Spaniard won the Giro and was fifth in the Tour, as an end-of-career ultimate challenge. With the Giro’s blend of time trials and high-altitude climbing, the Giro route suits Nibali pretty well. And the Tour’s rather unorthodox route also could play into Nibali’s hand if the race is still largely undecided going into the final week. Nibali first rode the two grand tours back-to-back in 2008 when he was just starting his career. 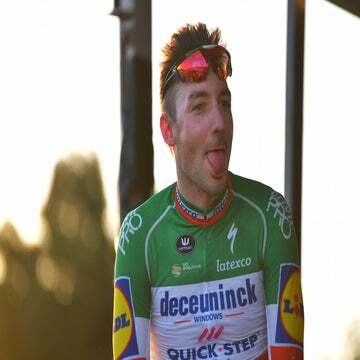 He finished 11th in the Giro and 19th in the Tour. 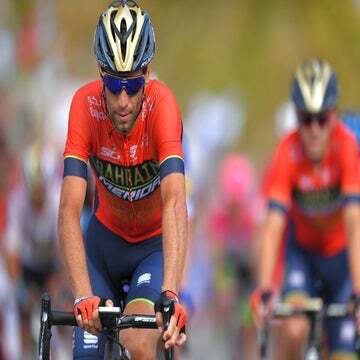 He rode both again in 2016 — winning the Giro and riding to 30th in the Tour — but Nibali said the Tour that year was used in large part to prepare for the 2016 Rio de Janeiro Olympics. It won’t be easy. The Giro is seeing perhaps its deepest and most competitive field in years. Rather than see a peloton featuring two or three big favorites, this year’s “corsa rosa” will start with a half-dozen riders aiming to win. Among early confirmed starters include former winner Dumoulin, Vuelta champ Simon Yates (Mitchelton-Scott), Miguel Angel Lopez (Astana), Primoz Roglic (Jumbo-Visma), Fabio Aru (UAE-Emirates), Bauke Mollema (Trek-Segafredo), Michael Woods (EF Education First), Ilnur Zakarin (Katusha-Alpecin), Mikel Landa (Movistar), and Egan Bernal (Sky). When it comes to audacity, there are few who can match Nibali in today’s peloton. Pulling off the double would put him into elite company and confirm his place among the sport’s greatest riders.